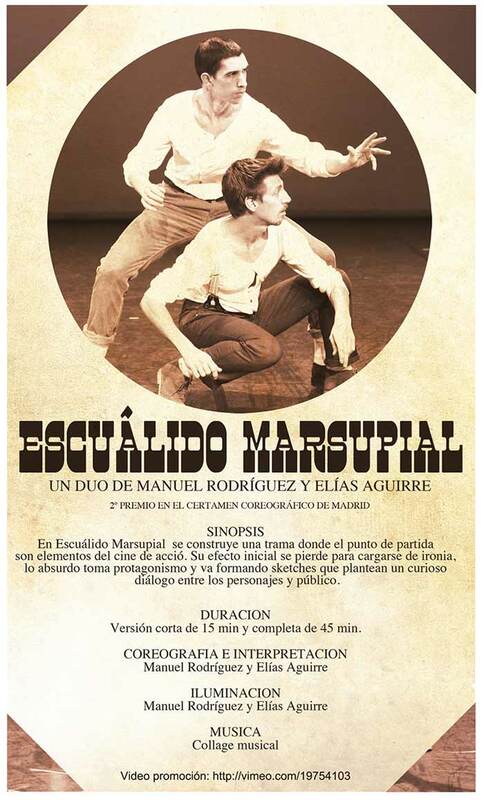 In “Escúalido Marsupial” is built a storyline where the starting point are the elements of the action movies. The intial effect is losing in order to bring irony. 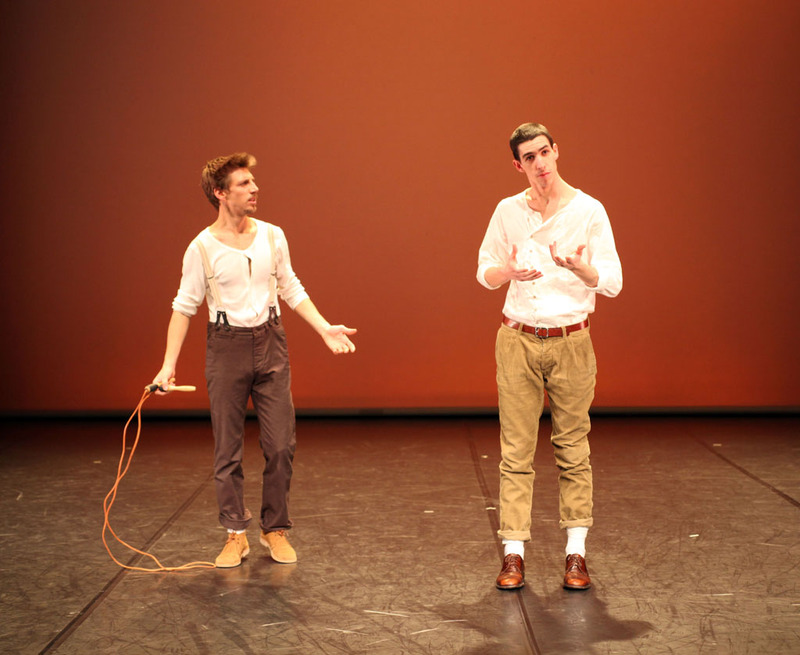 The absurdity is getting more importance and it creates sketches that suggest a curious dialogue between characters and public. 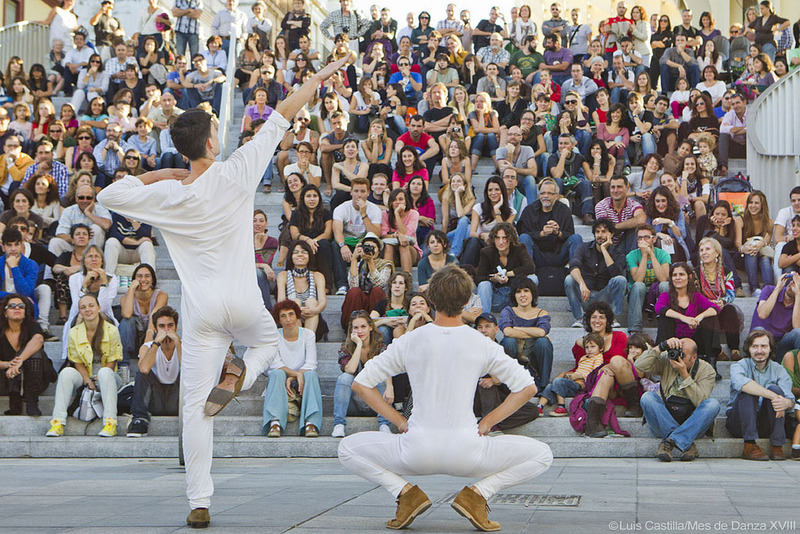 Second prize XXIV Certamen Coreografico in Madrid 2010. 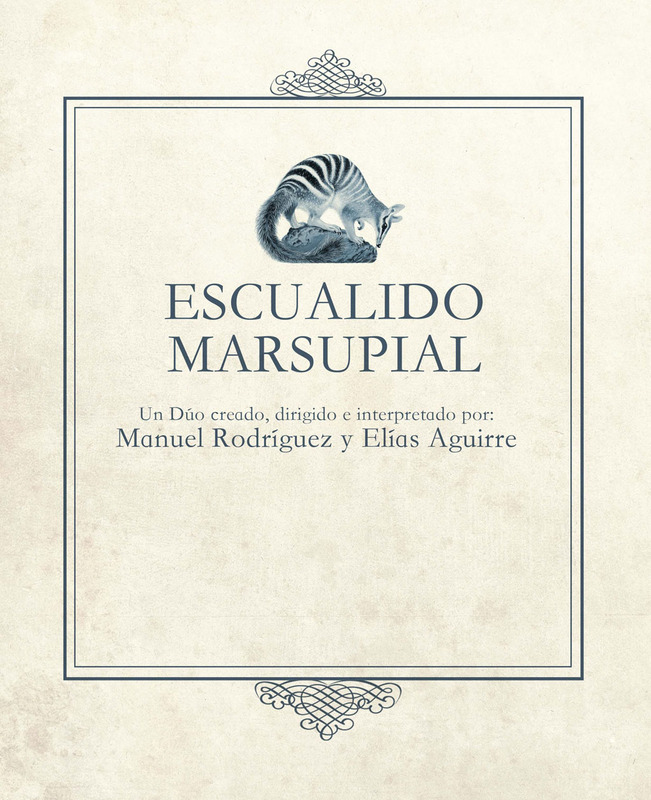 Escuálido Marsupial from Elías Aguirre Imbernón on Vimeo.